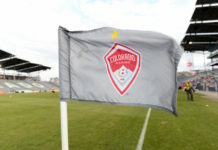 After seven games, numerous injuries and unpredictable lineup shuffles – all in only 22 days – the Colorado Rapids finally have a reprieve; they have no matches for the next 18 days. 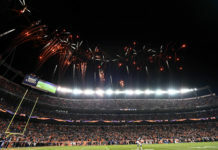 The Rapids concluded a hectic and physically demanding three weeks on Independence Day with a 3-1 loss to the defending champion Seattle Sounders. Coaches and players alike are grateful for the break. From a coaching standpoint, juggling U.S. Open Cup and MLS games is an absolute nightmare. On average, the Rapids played a game just about every three days from June 13 to July 4. Pablo Mastroeni had to balance putting a competitive team on the pitch while simultaneously not putting players at risk by letting fatigue build up. It’s a delicate balance, and it’s almost impossible to emerge unscathed. The Rapids were bit by the injury bug hard during that time. Bobby Burling, Jared Watts and Axel Sjoberg (three of the Rapids’ four center backs) all went down during that time. Shkelzen Gashi, who had just returned from his injured achilles tendon, aggravated his injury and had to miss more time. Dillon Powers and Mohammed Saeid were the other midfielders who had to miss at least a game. Lastly, Irish international Kevin Doyle seriously injured his hand, but toughed it out and played with a giant mitt-looking bandage in the subsequent matches. Powers, Watts, Sjoberg and Burling have yet to return. Mastroeni knows the upcoming time off is needed to replenish the team’s health, and possibly upgrade the roster. “It’ll give us a chance to get everyone healthy, it’ll give us a chance to bring some players in and more importantly, continue to work on both sides of the ball,” Mastroeni said of the break. Players are welcoming the change too. Eric Miller, who usually plies his trade as a left fullback but due to injuries has played center back for the past two games, said that the injuries were inevitable. 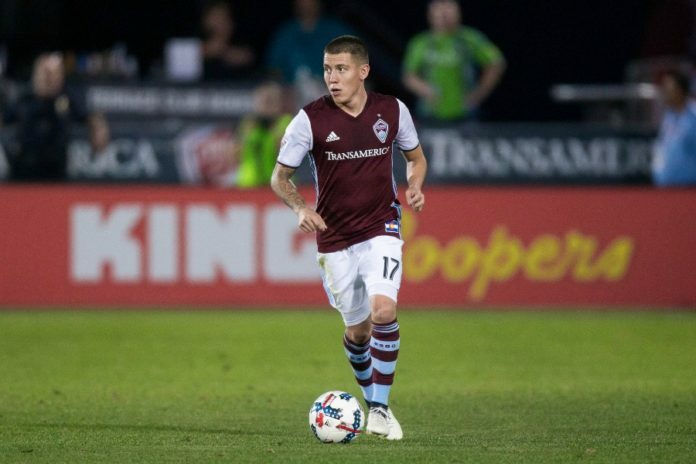 Dillon Serna, who suffered his own season-ending injury last year in a U.S. Open Cup match against FC Dallas on July 1, echoed Miller’s sentiments. “I think it’ll be good for us to have a couple days off here coming up before we get back to training,” Serna said. 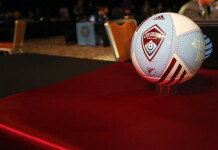 The Rapids don’t have another match until they take on Toronto FC, the runners-up in the MLS Cup last season, on July 22 in Toronto. They also have the opportunity to add some more depth and talent to the roster during the pause in play. The secondary FIFA transfer window, in which teams are free to approach players and make signings, officially opens on July 10 and remains open until Aug. 9.